After a gruelling workout there’s no better way to treat yourself than with a well-deserved meal. Dining after having used up vital nutrients during your workout makes what you eat that much more important. Despite being exhausted, getting in a proper meal post-workout can make all the difference in the recovery process. Here are some recommended meals that’ll have you revitalised and ready for whatever comes next. Eggs are now widely considered superfoods. Eggs are rich in protein, nutrients, and pack a punch of vitamins D, B12, selenium, and choline. High levels of antioxidants and essential amino acids can also be found in eggs. No matter how you feast, eggs will always be crucial foods in your post-workout recovery. Choosing to incorporate veggies of your choice will only add to the variety of nutrients your body consumes. When paired with the fruit of an avocado tree your nutrients will be aided in their absorption into your body. Not to mention that avocados are also filled with fibre and good fats like monosaturated fats. Another rather easy meal to make is a sandwich. The aforementioned listed ingredients can probably already be found in your home and are now need to be made into your post-workout meal. Tuna is low in calories but high in protein and carbs. Hummus is used as a substitute spread, that provides the unique flavour and hit of fibre that mustard, mayo, and ketchup don’t. Spinach is also an oft-used substitute for iceberg lettuce. As Popeye can verify, upon digestion spinach gives you instant hulk-like muscles and vitality…well, maybe not. However, spinach can help curb appetite, give you a better complexion, while lowering blood pressure and inflammation. 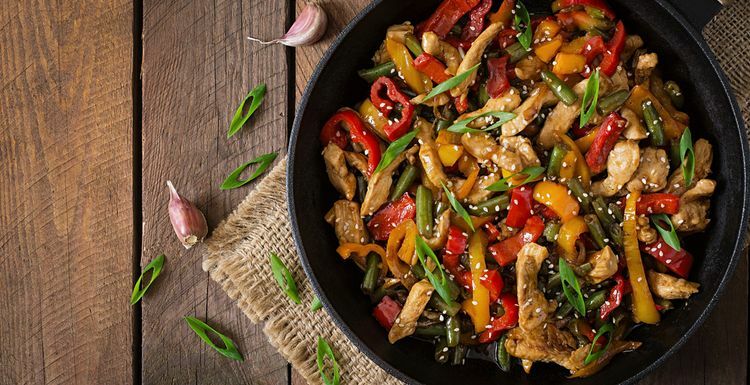 If you’ve got a little more time on your hands or find cooking post-workout a soothing experience reward your pallet with chicken stir-fry. Lean chicken is a solid source of nutrients like, niacin and vitamin B which will help to stimulate your metabolism. Feel free to add bell pepper, asparagus, avocado, squash, or whatever other combination of vegetables to your dish. While meat is heavily packed with protein you don’t want it to be the only substantial food in your stir-fry. To supplement your meats and veggies go white when choosing your rice. Most of the time brown rice is advised but after working out you’ll want something with a high concentration of glucose. eggs - so glad these aren't the bad guys now. I love an omelette and it is really filling after a gym session. Interesting information about white rice. I haven't had it for years because I always thought brown was much healthier. I love the fact I could have some white rice guilt-free after a workout! great to see a sandwich recommended - there is so much 'don't eat carbs' around when I think there's nothing wrong with good complex carbs. And that combination sounds great.